In 403(b)s for major universities and institutions, and in big 401(k)s, you’re likely to have a good menu of low-cost funds that you can use to build a winning portfolio—both one-stop, ready-made funds and those you can combine to create a custom recipe for yourself. But elsewhere you may have a menu of risky, exotic, or costly investments, especially in smaller plans, such as 403(b)s for public school districts. 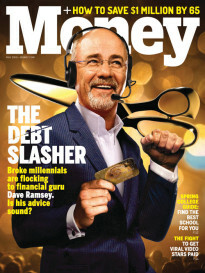 “The K-12 system is still the Wild West of retirement plans,” says Dan Otter, head of the 403bwise.com information site. Your easiest option is also one of the best: a target-date retirement fund. These all-in-one funds, found in over 70% of 401(k)s and 403(b)s and widely available in IRAs, are tailored for people retiring near a certain year—say, 2030. Each fund gives you an age-appropriate mix of stocks, bonds, and cash, and automatically gets more conservative as you age. If you don’t have a target-date option, you can approximate one with a mix of three index funds: U.S. and international stock funds, plus a bond fund. You don’t have to be one of the 1% to receive advice. About 30% of 401(k) plans, for instance, supply help face-to-face, by phone, or online, reports the PSCA, a retirement-plan trade group. That can pay off. 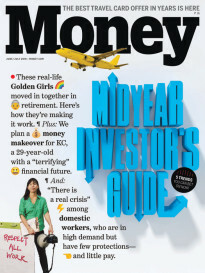 A 2014 study by Financial Engines, which provides financial advice to 401(k) participants, compared the returns over seven years of people who received guidance and those who didn’t. People who got help earned median annual returns that were 3.3 percentage points higher. Investing with online services such as Wealthfront and Betterment? These so-called robo-advisers provide guidance based on computer models, though they may not be able to buy and sell retirement funds for you. Annual fees generally range from free to 0.35% of assets you invest with them.